We recently won the Fashion Guild International Rising Star Award for the menswear category. For those of you who don’t know, we also run the custom menswear site, DenverBespoke where we specialize in making the most unique men’s suits in the world and have made suits for hundreds of weddings. In the last couple years, we have begun making suits for women as well. 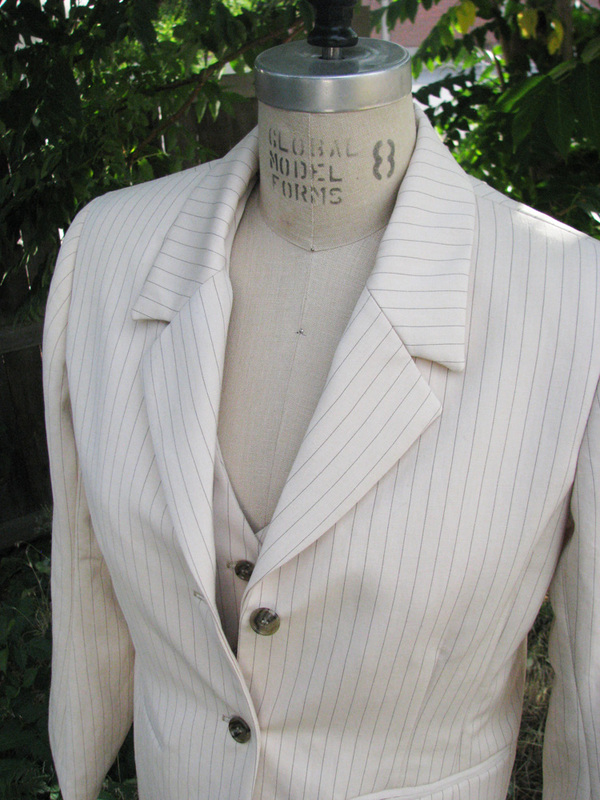 All of our women’s suits are made using the same gorgeous wool, linen, and silk fabrics. And all of them have the same high level of structure and tailoring. We have made women’s suits such as are not available anywhere else and have become a tailor of choice for professional women (especially lawyers!) 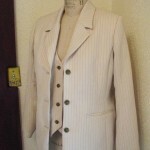 and for lesbian women around the world who want a gorgeous suit to get married in. 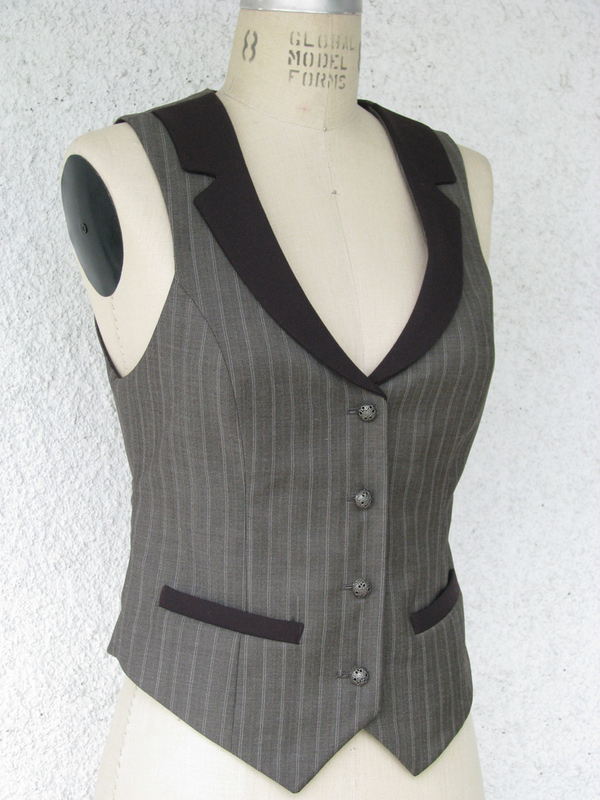 Our suits can be modern, retro, elegant, mod, feminine, masculine, Victorian, traditional. 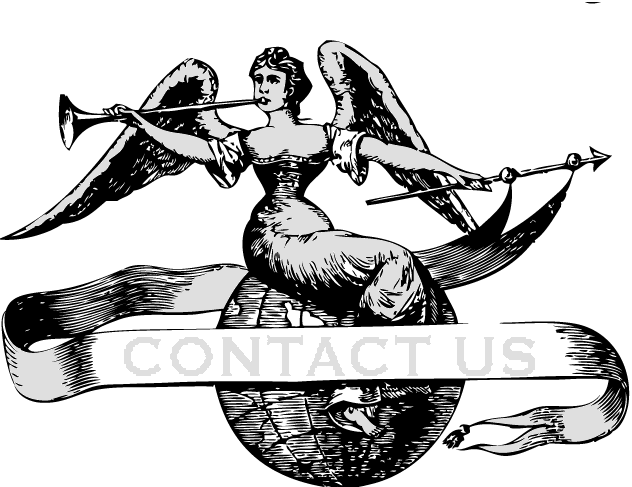 We will work with you to design the perfect suit for your taste and sketch ideas until we get the perfect look. What is more, we use bespoke patternmaking techniques and create a unique pattern that is just for you. 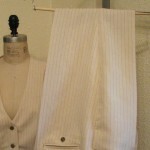 You send us your basic measurements and we cut and sew a muslin prototype of the suit. A kind of rough draft that we mail to you to try on. 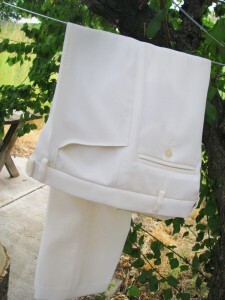 You send us a few pics of yourself trying it on, and we modify the patterns to fit you exactly. 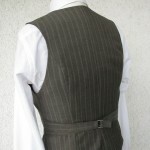 The result is a truly custom suit that is made for you in every way. 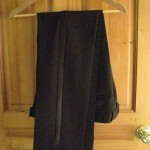 We can get virtually any type and color of fabric. Just ask and we will start sending you swatches. 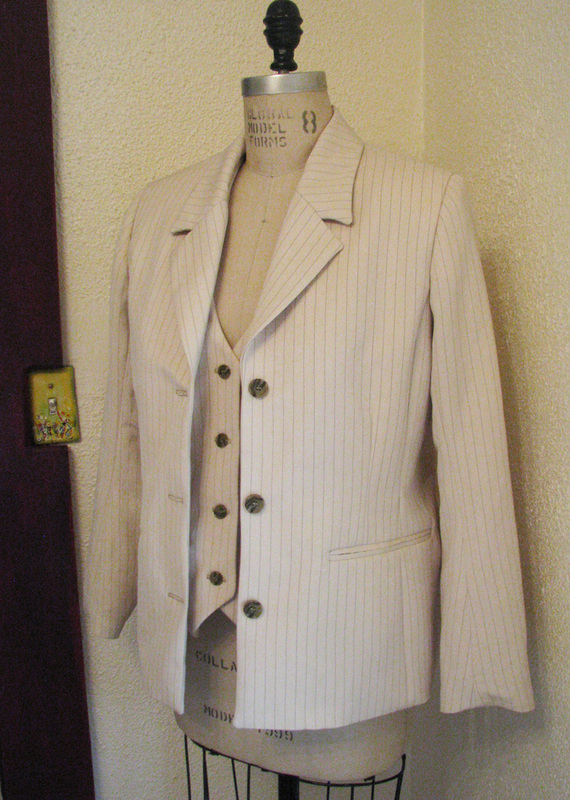 The pictures show an ivory women’s 3pc suit cut from an Italian pin-stripe linen fabric with horn buttons. 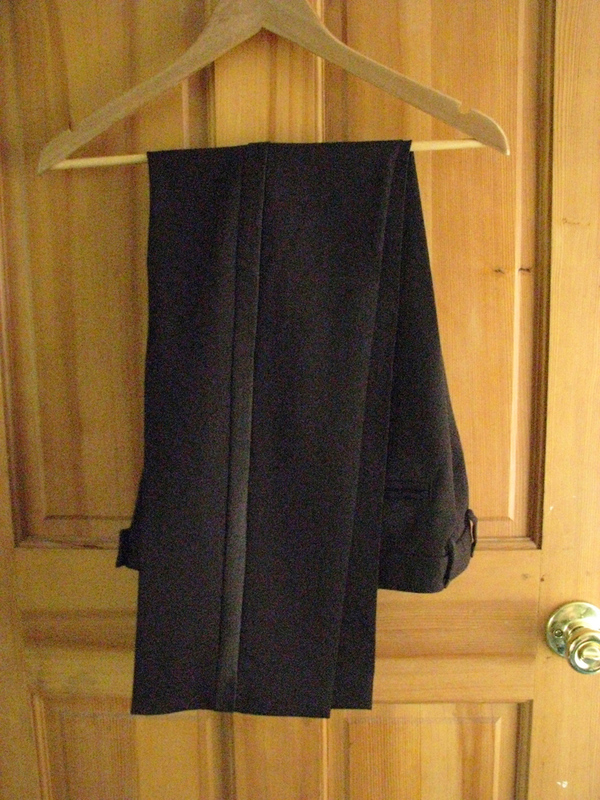 The jacket is three button with notch lapels and the pants are cut with our signature “no-gape” L-shaped pockets. 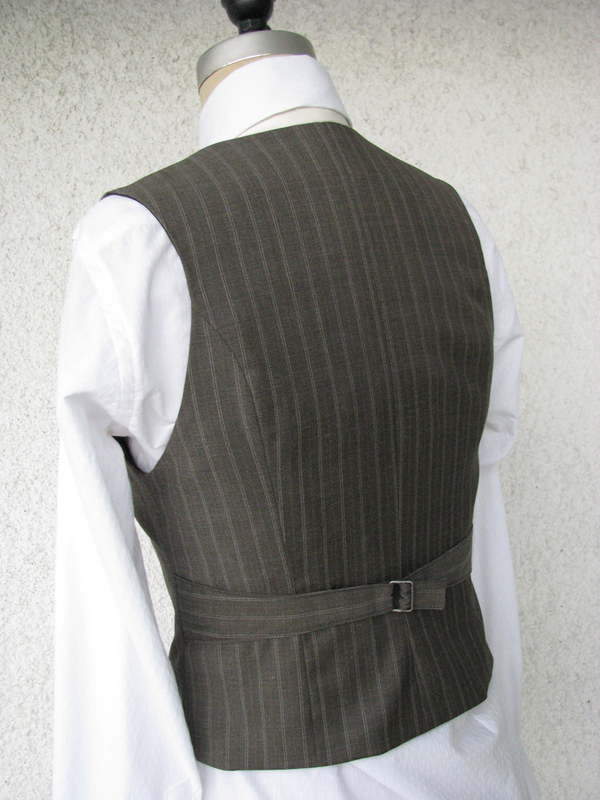 The vest and pant suit shown with the tie is cut from an Italian superfine wool with brown gabardine pants and contrast details and a tuxedo stripe on the pants. The shirt is a fitted due-bottoni collar shirt with french cuffs (yes we make women’s dress shirts also) in a dobby weave. 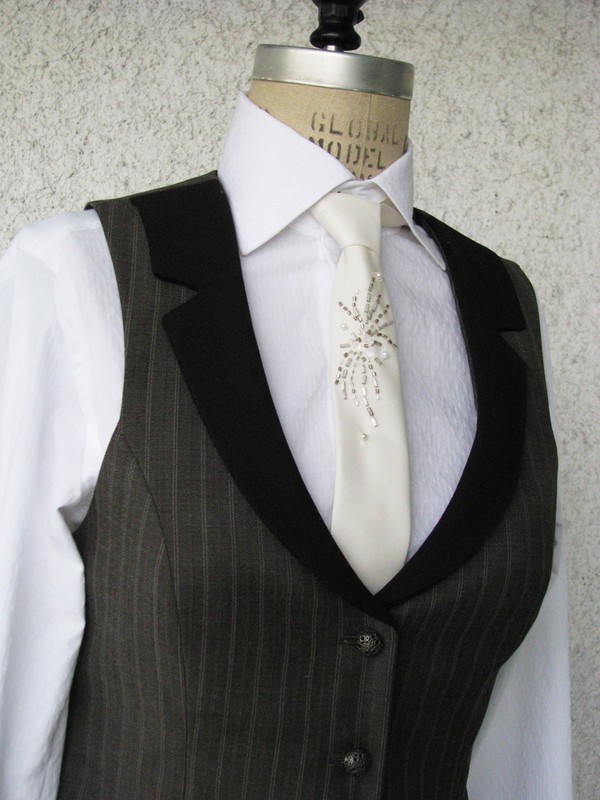 It is also show with a handmade and hand-beaded silk tie. 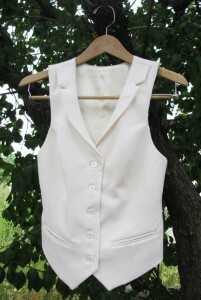 The final vest and pant are made from a classic wool gabardine in white. Contact Lianna K (superhero@vigilantelabs.com) for more information and to get started on the ultimate custom suit. I am getting married on 1/12/13 and am in desperate need of a suit. 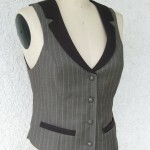 I am looking for a women’s 3 piece suit with fitted vest and jacket. I really like the off white pin stripe 3 piece showed on the page above. I generally wear a women’s 10 but usually have to have the jacket tailored to fit my skinny torso. I am curious as to how this process works, if there is enough time given my January wedding and estimated cost of the 3 piece suit. Please get back to me at your earliest convenience at j.reis44@yahoo.com or 60X-343-7XXX. Thanks so much for writing. Can’t wait to work on this. I’m getting married on October 5, 2013 and I’ve started the process of looking for a women’s fitted tux. 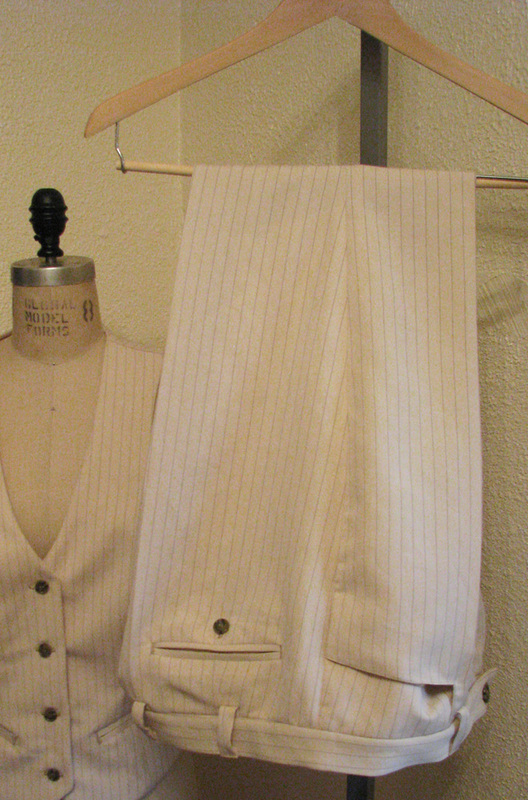 I’m not sure of my sizes yet (as I’ve never been measured before) but I do love the idea of a white (not off white) pinned stripped 3 piece suit! Our colors are red, black, and white! Any tips on how to get started or what your opinion is, would be greatly appreciated. Thanks so much for writing. We would love to make you a suit. We can send you a PDF with details on how to measure and also mail you a measuring tape. Then, when we make the muslin mock-ups, we will have a chance to double check everything and to revise the fit even more. I am going to send you a message in a sec so we can talk more. The best way to get in touch is through email. (You can email us at superhero@vigilantelabs.com). Once we get a little better idea of what you are looking for, we can do some sketches and send you swatches. Can’t wait to talk more and to get to work on this!